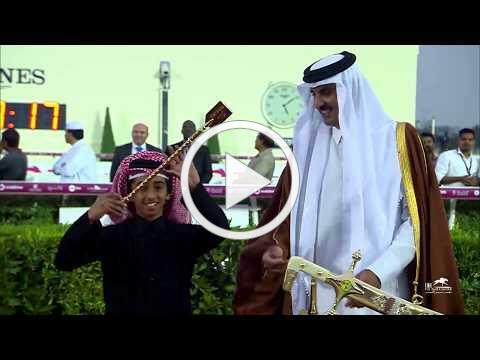 The three-day 2018 HH Emir’s Sword Festival in Doha, Qatar, culminated in a scintillating victory for Gazwan, ridden by Christian Demuro for trainer Julian Smart and HH Sheikh Mohammed bin Khalifa Al Thani in the feature race of the meeting, the HH Emir’s Sword (Gr1PA) over 2400m. This was a second win for Gazwan and a third consecutive victory for Julian Smart, his sixth overall for His Highness and whilst there have been two dual winners since 1990, no horse has ever regained the race in that time period.Winning in a time of 2.38.63, it was slower than his 2016 victory, however that time of 2.36.45 is still the fastest of the last ten years. Looking at the form book it would be easy to conclude that Gazwan had been kept fresh for this race as it was his first start since Chantilly in October, but Smart admitted after this race that it had not been a trouble free preparation, making his win against younger, race-fit rivals all the more noteworthy. Smart commented: "Gazwan has been training unbelievably well the last few weeks and I have to admit to being quietly confident. He may well have benefitted from an enforced break after the Arc, but so many people have worked hard to get this horse to this point that's for sure. How tough is he?!" Smart confirmed that all being well Gazwan would head to the last Group 1 of the Qatari season, the Qatar Gold Sword, back to 2000m, which he won last year. His European campaign would then commence in the Dubai International Stakes at Newbury (which he won in 2015 and was a close second in 2017), before bidding for a repeat win in the Qatar Arabian World Cup that returns to Longchamp for 2018. As for his 2017 HH Emir's Sword winner Ebraz, who had been a fast finishing second, he said:"He will probably go for the Gold Sword as well. After that I'm not sure, trying to keep him and Gazwan apart will be tricky!" Smart had got the Festival off to a good start on day one, when winning the Al Zubara Trophy for local breds with the 2017 Dubai Kahayla Classic winner Reda, denying Majeed a hat-trick in the race. On the second day it was a significant victory for Oman, when Meblsh won the Gulf Cup. 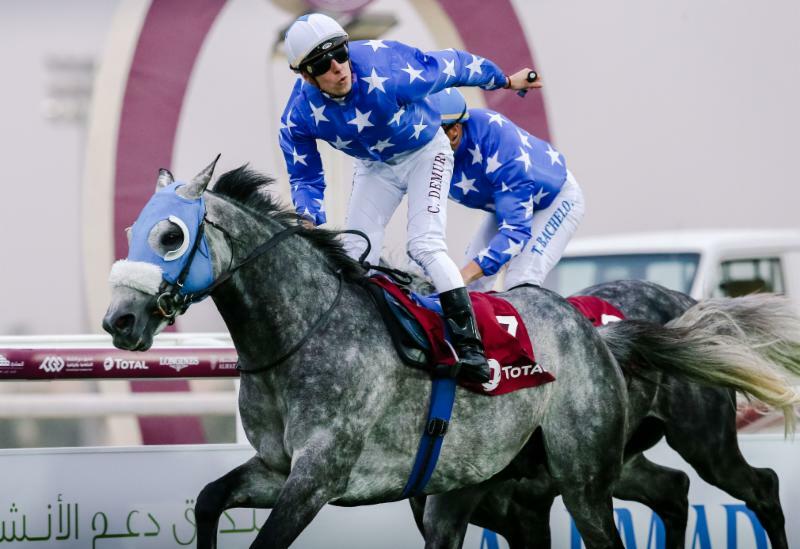 Well bought from Al Shaqab, the six year old had Group 1 place form and was a Listed winner in France. R idden by Almotasem Al Balushi and trained by Badar Al Hajri for Saad Al Mukhaini Bahwan, he won by an easy two and a half lengths. The final day saw a win for Al Naif Racing's Mohelb Al Naif, ridden by Gerald Avranche for Yousef Mehaoued, in the Qatar International Stakes (Gr1PA). This was his sixth straight win and he finished a length clear from the Francois Rohaut trained Ateej, winner of the 2016 Qatar Derby. Significant for European form was the win of Easter De Faust (right) in the HH Emirs Silver Sword (1850m) for individual Qatari owners, ridden by Harry Bentley, the Jassim Ghazali Jahromi trained filly is owned by Khalifa Al Kuwari. This is the fourth consecutive win for the four-year-old daughter of Mahabb since her victory in the Qatar Arabian Trophy des Pouliches (Gr1PA) in September at Saint-Cloud. She also ended 2017 as the top-rated three-year old filly in the International Classifications. In Round 1 of the Al Maktoum Challenge (Gr1PA), held over 1600m on the dirt at Meydan, Paddys Day had just held off the late finishing challenge of Barnamaj. 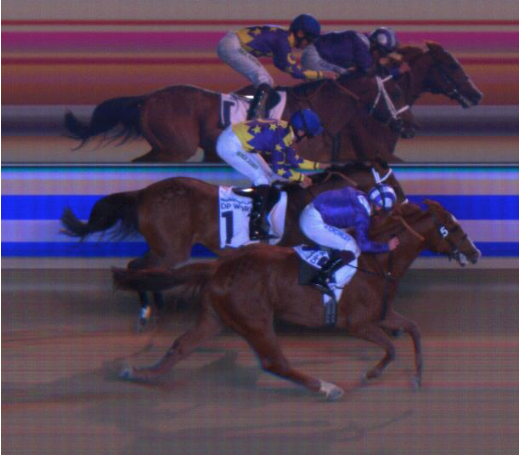 Stepped up to 2200m, in Round 2 of the Al Maktoum Challenge (Gr1PA), it was Barnamaj who finished in front, though again it required a photo finish to split the pair. Paddys Day was bidding to become the first horse since Sahib Du Clos to follow up a Round 1 win in Round 2; whilst Faucon Du Loup was trying to emulate Kahayla, the only horse to record back-to-back wins in the race in 1994 and 1995. 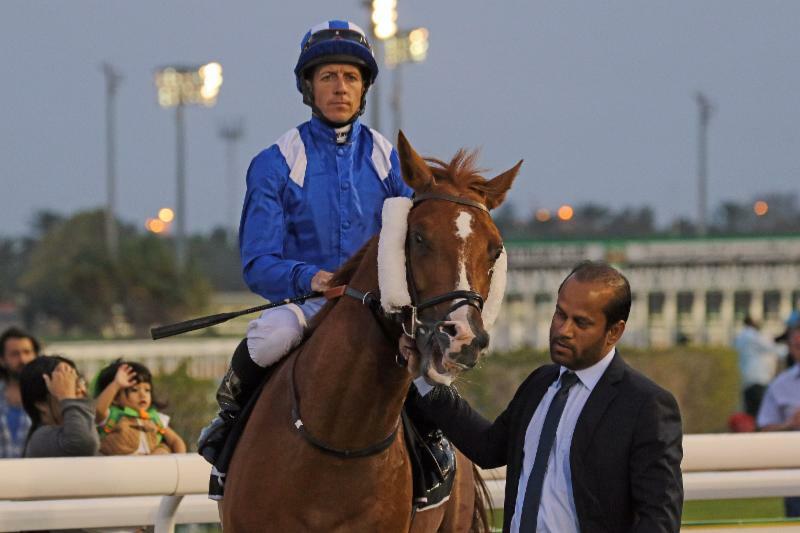 In the event it was HH Sheikh Hamdan bin Rashid Al Maktoum’s Barnamaj ridden by his retained jockey Jim Crowley, on only his second dirt start, who showed superior stamina. The pair finished a head in front of Paddys Day and Pat Dobbs, with Shaheer a further five and half lengths back in third. Faucon Du Loup again disappointed, finishing sixth. Barnamaj’s win was also significant for His Highness’s breeding operation, becoming the first Group 1 winner for his sire No Risk Al Maury. No Risk Al Maury’s 17 wins included six Group 1 races, of which two were Al Maktoum Challenge Round 1’s, plus a Round 3, becoming a multiple Champion Arabian Racehorse in the UK, as well a UAE Champion and was the first horse to win at Meydan racecourse. Shadwell Stud’s director Richard Lancaster commented: “No Risk Al Maury was a remarkable racehorse and is proving himself as an outstanding sire. We are very pleased to have bred his first Group 1 winner, out of a homebred mare by a Shadwell stallion, Bengali D’Albret. Round 3, held over the same 2000m as the Dubai Kahayla Classic, takes place on March 1. "Last weekend was my very first Racing Club social event with a champagne reception at Green Ridge Stables. It was a beautiful day and the club members were kept warm with mulled wine and hot sausages which went down a treat! We had a great turn out and although I already know a couple of the members, the majority of them were new faces, so it was a good chance to get to know them and show them round the yard. "The three club horses, Dolfina D'Ibos (above), Crahck and My Boy Sam were shown in hand as well as ridden, during which time I put myself completely out of my comfort zone by picking up a microphone and talking to the crowd. Hopefully my public speaking skills will improve throughout the season! 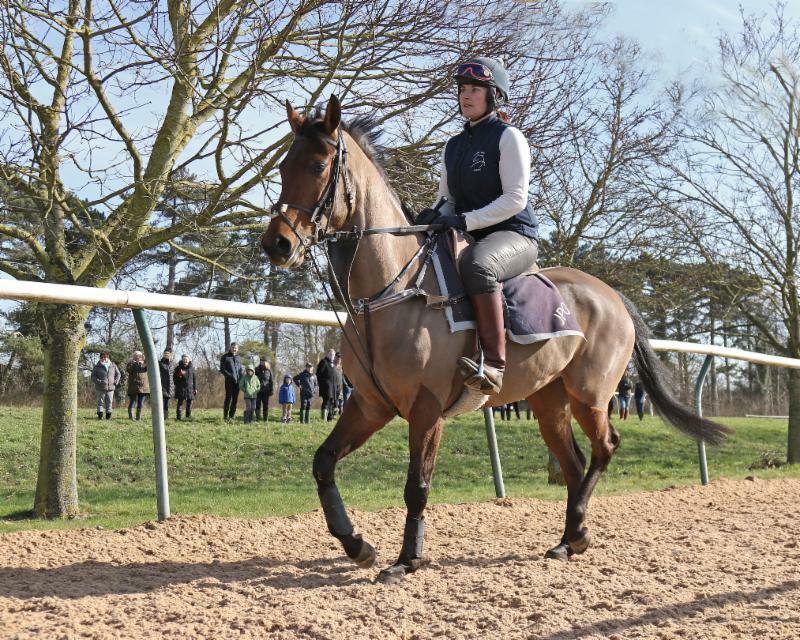 "The club's first runner will probably be Dolfina D'Ibos (2017 ARO Champion Arabian) at Chelmsford on April 21. I hope that she can get the club off to a flying start! I am delighted with how the club is going and shares are selling fast, with three more being sold after Saturday's event. There are still a few club shares available, so please get in touch if you would like to get involved. 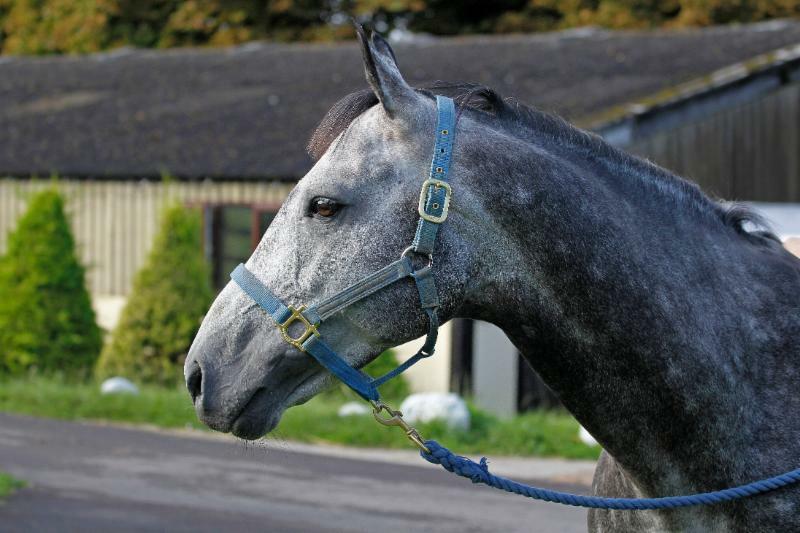 "Finally, I have a selection of Arabians in the yard that are for sale, both raced and unraced. Please take a look at my website and get in touch if you would like more information." Al Zahir kept out of trouble to win the Group 1 HH The President Cup over 2200m at Abu Dhabi Equestrian Club, showing a clean pair of heels to the YAS Management owned pair of Ziyadd and Dahhm. Ridden by Jim Crowley, HH Sheikh Hamdan bin Rashid AL Maktoum's colt broke his maiden in his course and distance win in Round 2 of the Arabian Triple Crown last year. The win of US bred Paddys Day in the Al Ruwayah Sponsored By Jaguar XF (Gr2PA), at Meydan on February 15, took the Quarter Moon Ranch’s star performers earnings to $1,024,746, for 24 wins from 39 starts. Carrying a penalty for his Group 1 win in Round 1 of the Al Maktoum Challenge (Gr1PA) over course and distance in January, the seven-year-old son of Burning Sand was settled in the rear in a slowly run race which was not without incident. Entering the home straight Pat Dobbs made his move and though he travelled smoothly into contention, Paddys Day had to pull out all the stops to get in front in the last 50m to win by a length and a quarter. Paddys Day, already a two time Darley Horse of the Year Award winner and recently nominated again for the forthcoming awards, became the first Arabian racehorse in American history to earn more than $1 million. That sum is made up of $574,746 in winnings and $450,000 in bonuses for winning the Sheikh Mansoor Festival’s Triple Jewel series for the last three years. 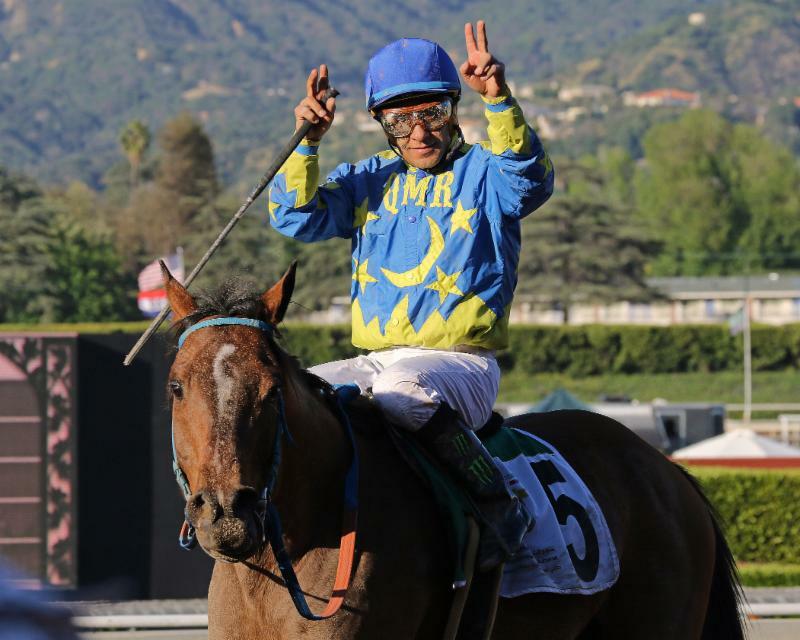 He now assumes the mantle of highest-earning US Arabian racehorse, a title previously held by DA Adios ($622,048). From his 24 victories, he boasts eight Grade or Group 1 wins since his career started five years ago in Colorado. Paddy Day had arrived in the Gulf for a crack at the world’s richest Arabian horse race, the Jewel Crown, run in November and following that outing, has since been transferred to the stable of champion UAE trainer and fellow American, Doug Watson. 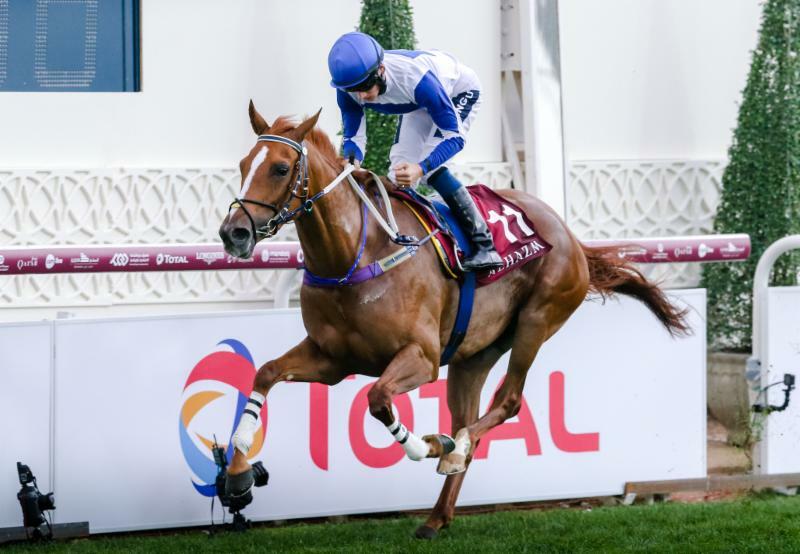 Clearly relishing the return to Dirt and a left-handed oval, all being well he is expected to line-up in the Dubai Kahayla Classic on World Cup night over 2000m on March 31. It was with much sadness that we learned of the passing of Anne Unwin earlier this month. 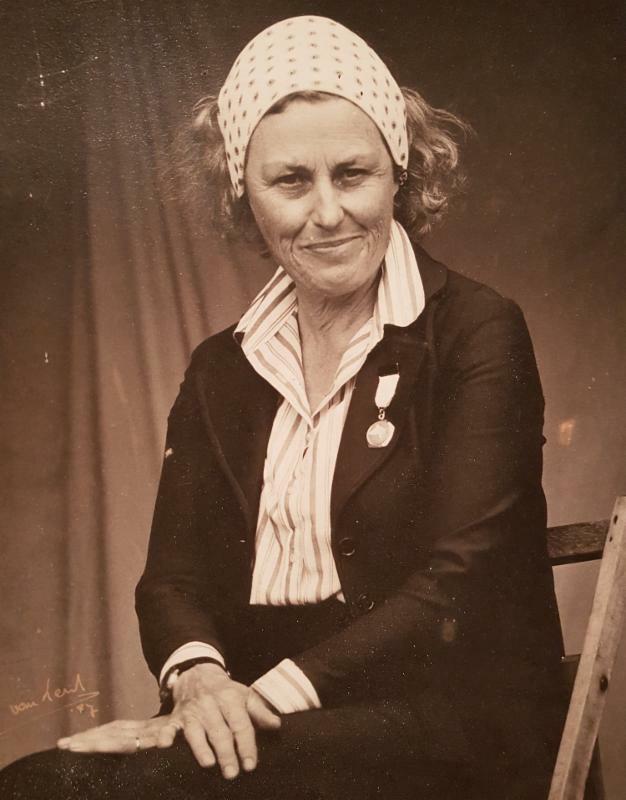 She had a huge influence in the establishment of Arabian racing in the UK – being keen to prove that Arabians were versatile in any equestrian sphere, as well as beautiful to look at. In 1978 Unwin approached the Jockey Club of Great Britain, requesting permission for private ‘match races’, using Arabians. This was met with no objection and it was this vision and idea which made a tiny, but significant start for Arabian racing in the UK. She then succeeded in gaining permission for a full Arabian race meeting, on the agreement that it was not to be on Jockey Club racecourses or to allow any betting to take place. Searching for both an omen and funding, she decided to place £100 bet on Red Rum to win the 1977 Grand National Steeplechase – reasoning that a win was the green light for UK Arabian racing and a loss would confine her vision to just a dream. 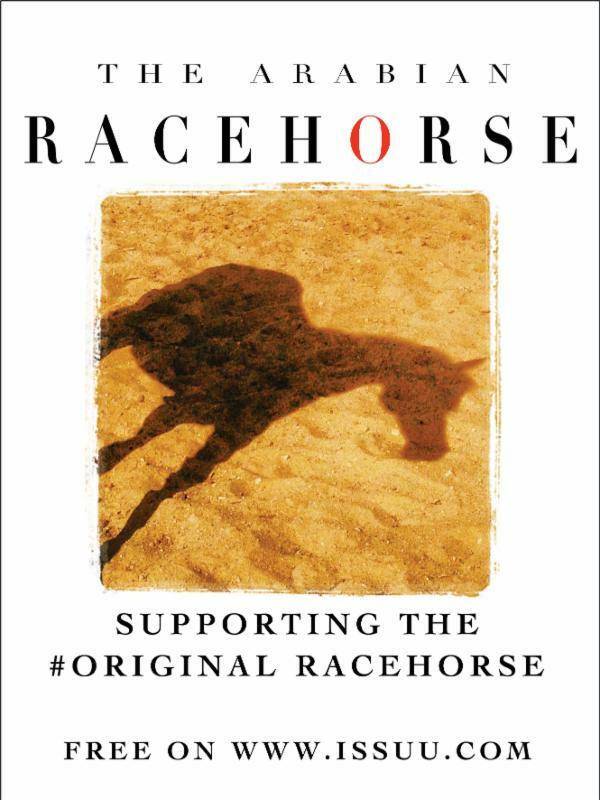 Red Rum duly won the race and so her dream became a reality! Finding Hawthorn Hill, a disused racecourse near Ascot, for that initial meeting, Arabian racing was born in the UK as an amateur sport in 1978. Outgoing ARO Director Genny Haynes commented: “Sadly, Anne passed away on 3 rd February 2018 at the age of 87, after a life time of vision, dedication, encouragement, determination, hope and incredible passion for not only Arabian racing, but the Arabian breed. In addition, Anne offered tremendous support for all involved, whether it be breeders, owners, trainers or jockeys.